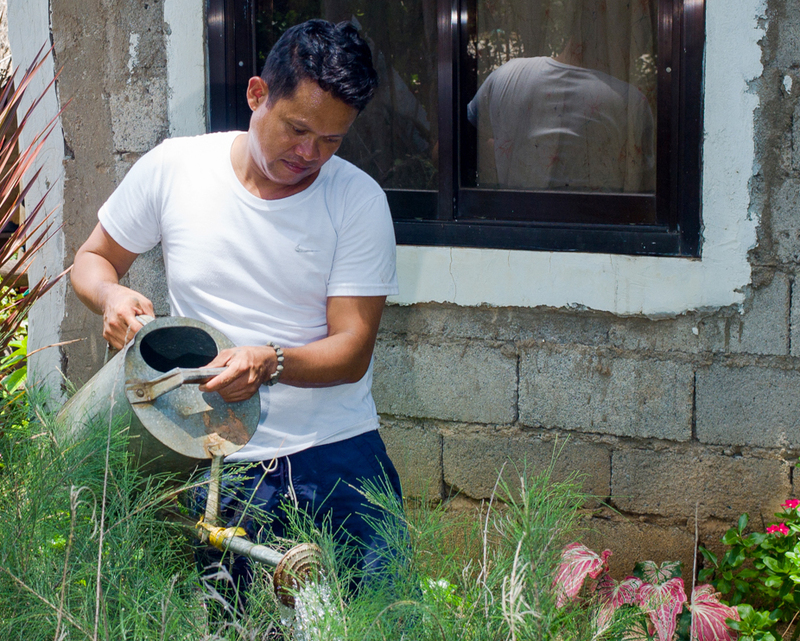 Alwin Reyes, a 39-year old father of two, found a way to augment his family’s income without leaving the vicinity of their house. In his backyard in Sitio Aprot, Brgy. Caparispisan, Pagudpud, Alwin grows Agoho seedlings for a community-based seedling production program in Ilocos Norte. He and his wife Analyn plant the seeds that they collect from the forest in polyethylene potting bags and nurse them for five months. The potting bags were provided by North Luzon Renewables (NLR) and were bought for P14.00 (US$0.275) each. These seedlings are hardened for a month in the NLR nursery before they are planted within the NLR windfarm. Alwin’s small plot can accommodate 1,000 seedlings and the supplemental income has allowed him to send his two children, Llewyn John and John Lloyd, to school. Like Alwin’s family, 132 other families in Caparispisan and the neighboring barangays are engaged in the seedling production program initiated by NLR. They expect to achieve its goal of planting over 200,000 seedlings in Pagudpud by October 2017. NLR owns the 81MW wind farm in Pagudpud, Ilocos Norte.